European companies are increasingly outsourcing IT-related projects to low-cost countries such as India, China, Vietnam or the Philippines. North Korea also wants to be an outsourcing destination, and has specific advantages. The combination of very low tariffs, combined with a high level of quality, is its main attraction. Various local service providers, mainly headquartered in Pyongyang, are offering software development services or other IT-related services to foreign clients. Language is not a barrier for international collaboration: in the world of IT, English is already the common language. The North Korean government would like to see this export sector grow, and welcomes international IT collaboration, especially with Europeans. In North Korea, large numbers of youngsters are interested in pursuing a career in IT. The level of education can be high, especially among graduates of universities such as Kim Chaek University of Technology, and a large pool of technically qualified workforce is available. Companies employ motivated scientists and engineers with various degrees (e.g. Ph.D., M.S. and B.S.) and some of the staff have also participated in advanced courses abroad (in India, China and Europe). Some IT service providers can be considered large, such as the Korea Computer Center (KCC). Established in 1990, it has more than 1,000 employees. Although KCC’s main focus is on the local market, it also works for clients in Europe, China, South Korea and Japan and has branch offices in several foreign countries, including China. There are other large North Korean IT-corporations as well, each employing hundreds of staff, such as Pyongyang Informatics Centre (PIC), Daeyang IT Company and Hi-Tech Development Company (HTD). Other IT firms are part of large commercial enterprises, such as Unha Corporation or Korea Roksan General Trading Company. New companies are being established, and sometimes business units of larger organizations have been spun-off into new ventures. An example is the Gwang Myong IT Center, which is a spin-off of KCC; it specializes in network software and security, and produces anti-virus, data encryption, data recovery, and fingerprint identification software. Other new firms include foreign joint ventures, such as Nosotek (with a German entrepreneur) and Hana Electronics (with UK investments). Others are connected with Chinese business partners. North Koreans have been working on a range of export projects, including Enterprise Resource Planning (ERP) systems, e-Business, internet search engines, Business Process Management (BPM) systems, Business Intelligence (BI) and vehicle tracking systems using GPS. Surprisingly, a North Korean software company was involved in building a bank management system (based on Islamic banking) for a client in the Middle East. Besides administrative software, North Korea is producing various kinds of technical software for videoconferencing, infrastructure management, radio and mobile communication, medical diagnostics as well as embedded software and Programmable Logic Controllers (PLCs). The production of websites is also an important export activity for American and European customers. In most cases, it is not known by the client that North Korean staff is doing the work since all communication is conducted through neutral middlemen. There are also other areas where North Korea can compete. The country is often accused of conducting cyber attacks and although it is difficult to assess if this has really been the case, the Koreans are indeed very advanced in the field of security systems. There is a lot of research and expertise in protecting systems from cyber attacks from hackers, and these specialized services can also be used by foreign IT security firms. Some of the locally made security software is incorporated in hardware products (e.g. fingerprint identification products for access control of buildings and for time attendance) and already exported. There are also software products available in the areas of car license plate identification and voice and face recognition. North Korea also offers various kinds of IT-related activities known as IT Enabled Services (ITES). The country is considered to be one of the most talented production centers of 2D and 3D animation and cartoons in the world. SEK Studio in Pyongyang, established in 1957, has an artistic staff of more than 1,600. It has several foreign marketing offices and important European animation producing countries such as France, Spain and Italy are outsourcing work to SEK on a large scale. North Korea is also making computer games (including Facebook games, Wii, Blackberry, iPhone and iPad games) for foreign clients such as Dutch companies. The Korea Computer Center develops the award-winning “Go” computer game. Several kinds of data processing services are offered, for example by Dakor Company, established in cooperation with a Swiss firm. This joint venture works for European research companies, and it receives from them electronically scanned survey forms on a daily basis. It processes these papers and returns the results within 48 hours to their clients. Document imaging also allows North Korea to perform finance and accounting services. North Korea has a specific advantage: the local tariffs are much lower than in India or China, thus giving European firms the option of considerable cost reductions. This is especially interesting in the current time of economic uncertainty. 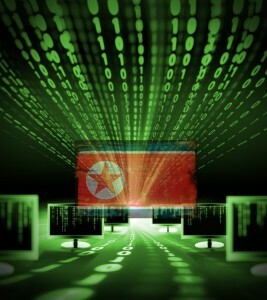 The commitment of North Korean IT firms is high, and the country is especially interesting for smaller or medium sized western software companies. Outsourcing work to North Korea could also be used to foster innovation (e.g. developing better products or new applications) or to localize existing software into other languages (e.g. Korean, Chinese or Japanese). Over the recent years, North Korea has opened up for foreign businesses. The introduction of modern technology (mobile phones, e-mail, internet, FTP, Skype, etc.) has been much slower than in other countries, but communication is now easier than it was in the past. Office space is easy to find, especially when the new Ryugyong Hotel in Pyongyang (more than 100 meters high) will start offering hi-tech office facilities beginning in 2012. Nevertheless, it must be noted that outsourcing IT projects to a foreign service provider always requires sound preparation. After all, offshore sourcing means we have to deal with differences in time zones, in distance, in language and in culture. It is useful to start with a number of low-risk pilot projects. It might also be useful to invite some of the North Korean staff to Europe for a short period of familiarization and perhaps additional training. In case a project is innovative, complicated or when it requires much knowledge transfer, it might be recommended to execute the first projects in Europe, by bringing North Korean staff to the facility of the client. One of the challenges of starting to work with North Korea is finding a suitable business partner. This is especially important when setting up a joint venture and when the cooperation is meant to last a longer period of time. Since collecting sufficient information about available companies is not easy, personal visits to Pyongyang will always be useful. During this partner-selection phase, it is also recommended to contact other foreign users of IT services from North Korea (first-hand experience). North Korea is eager to work for foreign clients, but the country is not a known outsourcing destination yet. This is especially challenging in a situation where there is a lot of competition from other countries. A major weakness is the North’s lack of visibility and branding. Most of the local companies only have a website on the North Korean intranet, which can only be accessed inside North Korea. Although several firms have marketing offices in China, this is not the case in Europe. In addition, international political tensions hamper the creation of new business contacts severely. For this reason, a specific export promotion project could be very useful. The focus of such a project should be on creating more international business collaboration (matchmaking support, including attending European IT trade fairs and exhibitions for North Korean delegations). Another goal should be to create personal contacts between the North Korean staff and European companies (e.g. arranging temporary internships for Korean software engineers within European IT companies). This will create a win-win situation: it gives European companies access to low-cost and motivated staff, while it creates more North Korean IT employment, with easier access to current European business practices (transfer of knowledge). Such an export promotion project could be initiated by an international organization or NGO. North Korean Defense Conversion: New Opportunities for Inter-Korean Cooperation?